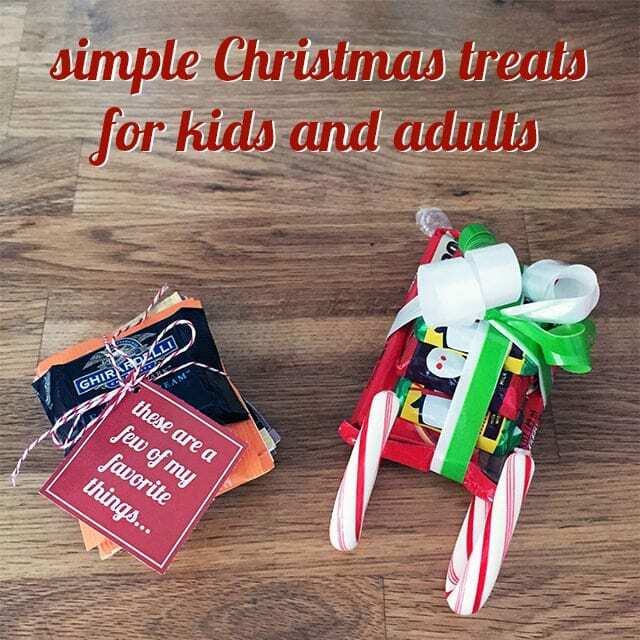 Although I’m not doing 101 Days of Christmas this year, I couldn’t help but share these cute little treats that I made for the students and moms in my Essentials class. 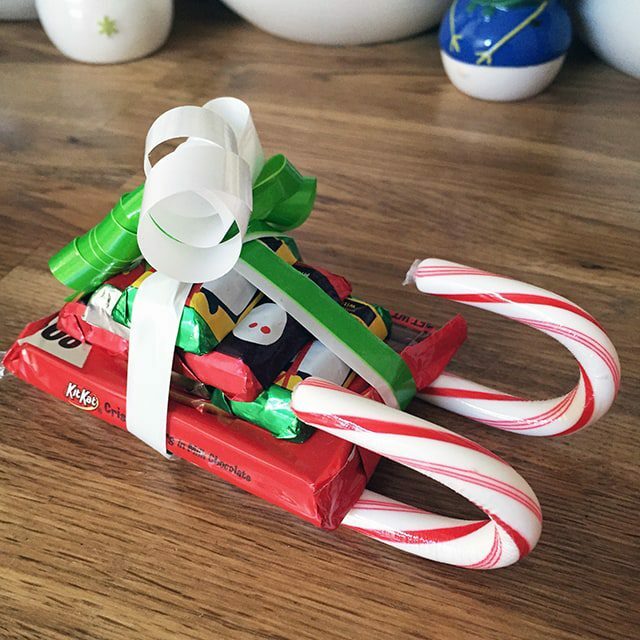 These were simple and easy to pull together, but they turned out so cute, and the kids loved their candy sleighs! NOTE: The original directions used hot glue rather than tape, but I just couldn’t bring myself to hot glue my chocolate. The double-sided tape worked perfectly, and the ribbon helped hold the candy canes in place. Place a strip of double-sided tape on the back of each of the miniature chocolate bars and stack them as a pyramid on top of the Kit-Kat. Use ribbon to tie everything together like a Christmas package, pulling the ribbon tight to hold the candy canes in place. Be sure to adjust the candy canes so they’re sitting straight before you tie a knot in the ribbon. Curl the ribbon and you’re done! I often buy my favorite tea via Amazon’s Subscribe & Save, which means I have boxes and boxes to share. I also found bags of Ghirardelli chocolate at Home Goods and decided to package them together in little treat bags for the moms in my class. Unfortunately, I couldn’t find any treat bags at the store, so my mom had the idea to just tie the Christmas string around each set of tea and chocolate, and I love how they turned out. There aren’t very specific instructions for these—I just gathered a “few of my favorite things,” stacked them together, tied Christmas string around them, added a tag, and tied a bow. My mom helped me because it was easier to get them nice and tight with four hands than it was with two. 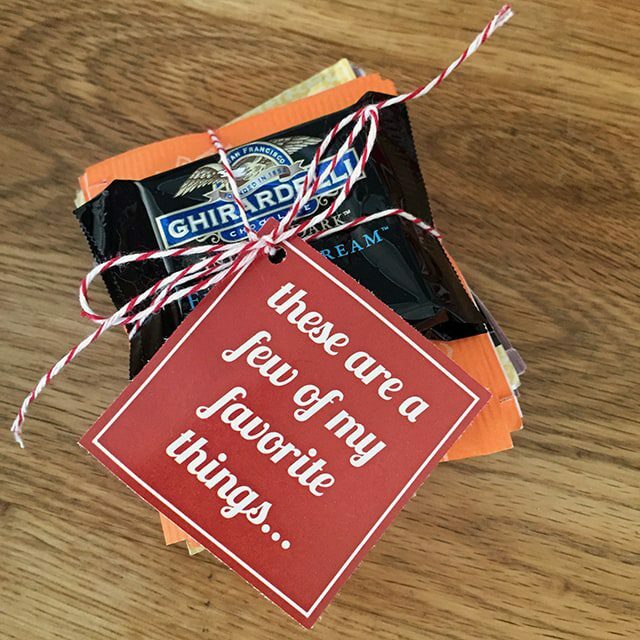 You could use ribbon or twine instead of string or even put your favorite things in a treat bag (like I’d originally planned) and add the tag to the outside of the bag! Click here to download the favorite things tags.